I believe that my role in the relationship with my clients is a sacred bond. I treat each of my coaching and consulting leadership relationships in the greatest of esteem. I have prepared this paper as a way to describe what my clients, who are organizational leaders, can expect from me during our coaching and consulting relationship. This is the context within which I provide support and assistance to leaders’ personal and organizational transformation. As a consultant and coach, I act as an advocate for leaders and assist in their engagement with staff needing information, clarification and support through the change process. Sometimes leaders, often truly “lonely at the top,” may back away from their personal and organizational transformation decisions because of a sudden lack of confidence or self-doubt. A coach becomes an ally and advocate who helps to guide and support leaders’ internal conversations as they face these personal challenges. A coach will engage leaders in conversations on the topics of endurance, perseverance, and breaking through their comfort zone to move forward to see tangible organizational transformation effects. 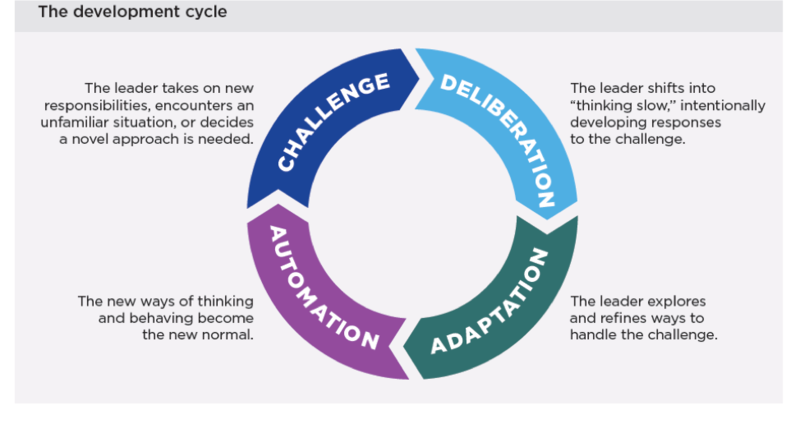 Leaders may face resistance from people within and outside the organization who disagree with the direction they propose when they undertake to achieve certain outcomes through organizational transformation. This is quite normal. Often, resistors simply want to understand from their leaders why things are being done before they commit to supporting change initiatives. They want to know the reasons for the change, or the logic for the decision-making, or the thinking behind the approach, or how the change will impact them directly, and how they may positively contribute to the change. The relationship between the leader and coach is always adjusting, adapting and evolving. My approach in serving the leader is to remain as supportive as is possible and to ensure shared positive and affirming behaviours will be always demonstrated in our relationship. By doing this, I recognize and validate that we have entered into a mutual learning state, where we are learning and growing from each other. It is quite normal for leaders to feel uneasy during this transformation work. My challenge is to assist you to acknowledge any uneasiness that you are feeling. When leaders face others in the organization with the proposed change, initially there is energy, excitement and tremendous hope. Then, with radical changes and the impending challenges that the organization may experience, some forms of fear may set in! This is the time that I as a coach may make a difference for you as a leader. I provide support for you to continue on your roadmap and not waver. I assist you to remain strong and clear about who will benefit the most from this change, and why this change is so important now! This is often the place to focus on what motivates you to make this change. Often in working with organizational leaders, I see that they face a range of expectations from their followers. Some of the expectations are not accurate. Followers may believe that the leader, who is at the apex of the organization, is in the position of greatest influence. They may believe that the leader has the unwavering confidence, inherent strength and tenacity to advance their agenda. Is this true? Perhaps not so! Some leaders are often apprehensive about acting in unfamiliar territory, or they really don’t know if their plan for change will “meet the mark!” Their courage and bravery will not come from being in “control.” It is all about being confident and controlling one’s self-doubt. It is about being ready to go where one needs to go to achieve the change. My role is to support and strengthen your self-confidence and readiness to address the challenges you will face throughout the transformational process. It is my role as coach to help ensure that the change is as deeply embedded as possible within the organization. This is important in areas and places within the organization where there is inherent resistance, or perhaps even rebellion toward the change. Often a leader will declare victory, prematurely. This provides a signal to others that they do not have to pursue the rest of their change agenda. They may feel that they have been blindsided by one or two significant events that signal that the change is faltering. Thus, the leader decides to embark on an appeal campaign that will definitely undermine their credibility. This further disables the leader and restricts the organization from further change. As a proactive and compassionate coach and consultant, I assist you to anticipate those places where change is likely to be a struggle for survival. My imperative here is to guide you to develop a plan to head off any significant threats. Together, we will find ways to leverage your strength to understand and own the change, completely and fully. I will assist you to recognize and celebrate when you have done well. I find that leaders often do not recognize nor celebrate their strengths in leading their organizational change. My role is to assist you to understand what successes have emerged relative to their intended impact. Such examples of leadership success may be the following: when the leader makes a key decision; handles a difficult situation with a direct report; gives a speech; chooses to involve others in thinking through an idea or important challenge; or even calls attention to the metrics applied to support a successful program. We know that this positive and successful leadership behaviour which is positively reinforced is often more likely to be repeated. 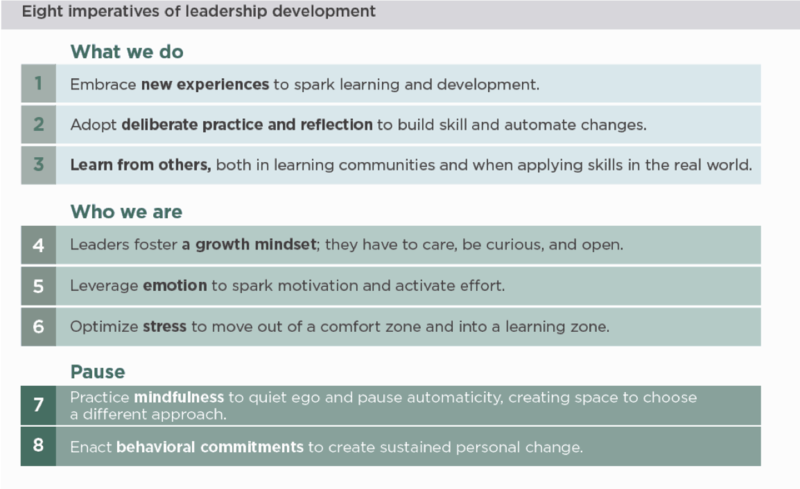 Calling attention to these leadership successes encourages leaders to demonstrate these behaviours again and again to produce the future change that they require. As well, positive feedback restores confidence during a time of doubt. From my experience, I see that some leaders are more often willing “to stay the course” if they are encouraged, complimented and supported for the difficult steps they have taken.